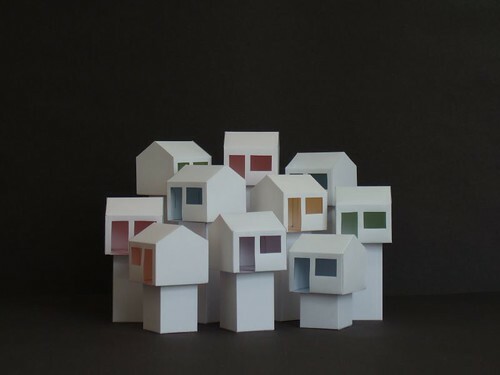 THINKING PERSON'S GUIDE TO AUTISM: Stop Isolating Autistic Adults and Calling It "Community-Based Housing"
Stop Isolating Autistic Adults and Calling It "Community-Based Housing"
Photo: Mike Wilson. Creative Commons license. Less than a month after I wrote a blog post on the media misrepresentation of Autistic people like me, I’ve gotten wind of yet another case of journalism that misrepresents Autistic people – and in this case, community living too. High support autistic people can’t live fully in the community. But group homes cost too much. We should fund farm-based settings instead. The Medicaid settings rule in 2014 that declared most farms and compounds for disabled people segregated settings ruined many parents’ hopes and dreams. So… it's unethical (because it is media misrepresentation and it reveals intimate personal details of an autistic person), and also just incorrect. I’ll talk about both inaccuracy and ethics here. Yes, high support people can live in the community, as evidenced by many examples. To suggest otherwise is to ignore successful, person-centered models in favor of more depersonalizing, “traditional” models – like group homes and other segregated settings. But group homes and farms/compounds are equally bad, plus cost isn’t the real issue: the problem is that they’re both still segregated. I am sad about the idea that someone’s dream would be to pack their kids off to a farm, rather than advocating for increased community support for real homes fully in the community. Also: does anyone remember that farms for disabled people were an institutional model? "The farm colony, an institutional satellite agricultural operation whose purpose was to "... provide suitable homes and employment to the boys, and secondly to supply the home institution with fresh food" began in the 1880s (Journal of Psycho-Asthenics, 1896: 69). The colony concept was greatly extended by Charles Bernstein, superintendent of the Rome (New York) Custodial Asylum from 1902 to 1942…"
Often these farm arrangements are custodial, and fail to move people out of the isolated setting into the community with real jobs that pay real wages, not piecemeal subminimum wages. They also mark the end of the road for the individuals that live there. And that’s the real tragedy: that there is less of a fight for real community integration, not that the Medicaid settings rule wants to help people live in the community for real. Your child’s disability is not about you. Your child’s disability is not your story to tell. If you want to help other families with tips on how to help their children, do it in private. If you do it in public at your child’s expense, you are not doing your job, which is parenting. Our humanity, our dignity should not be conditional to how the world will see us through videos, pictures and comments from such parents. The truth is, being disabled, being Autistic, and having such moments broadcasted for the whole world can, and will affect how we are treated, and the expectations about us. It is dangerous to reveal private details about disabled people online -- in part because it reinforces the narratives that we are burdens, people no one would miss if we just disappeared, or it tells people that it’s understandable to abuse and kill us because we are such burdens, and let’s all sympathize about what burdens our kids are. It is also unethical in part because it will change how people may treat the person later in life, if someone offers them the chance to live the community with a real home and a real job. Online posts and videos (that often go viral) of someone’s most personal moments -- whether a meltdown or hygiene related -- don’t contribute to a favorable impression. To blame one's child for many things is also unethical. The author of the Rolling Stone article, who is a father, blames his autistic son for meeting him with “baleful disregard” when the author admits that he “loves him and leaves him.” That is not the autistic person’s fault. It’s probably because of the fact of loving and leaving that he views the author with “baleful disregard,” and less to do with the autism itself as the article asserts. So: unethical, inaccurate. I hope at least one of those bothers you. Because real community-based living is our right.